On the annual purchase price of electricity, to be paid to existing electricity producers for 2018. On the selling price of electricity supplied by the supplier of last resort for the months of January, February, March 2018. Based on the legislation in force and the adopted methodology the price is determined based on this methodology every month and approved by ERE. On the approval of the general conditions of the universal service contract for electricity supply to end customers. ERE is in the procces of analyssing the aplications of four FIT licenses for solar projects being developed under the frame of the support scheme for PV projects with a capacity of up to 2 MW, and wind power projects not larger than 3 MW. Developers that will be awarded a FIT license will be entitled to receive a regulated tariff €100 per MWh, wich is appruved by ERE. 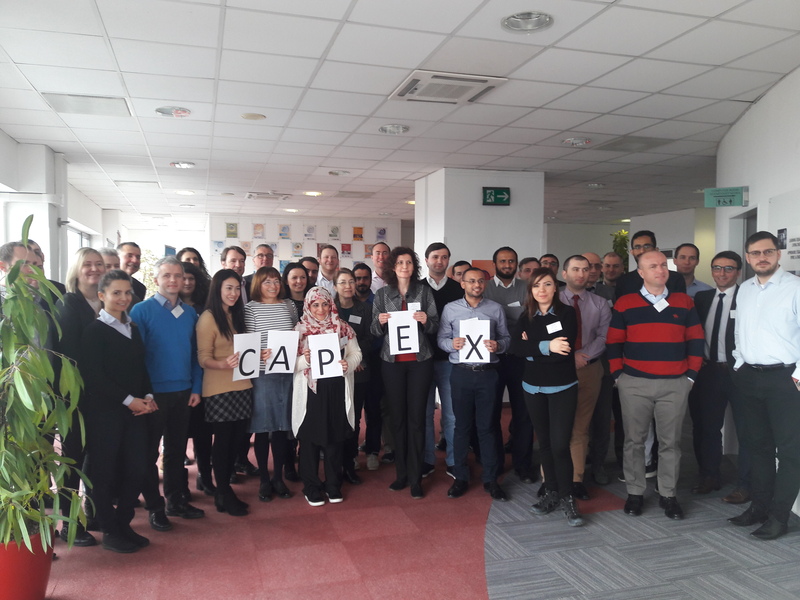 Participation in Know-how Exchange Program (KEP) held in Tirana on 21 March with Albanian, Italian, Montenegro and Serbian Energy Regulators, which aims strengthening Energy Regulatory Authorities in the Western Balkans. The project focuses on transferring to the National Regulatory Authorities of Albania, Montenegro and Serbia the know-how on market coupling initiatives among EU members has the ultimate aim to promote the creation of a Balkan regional electricity market integrated into the European one. 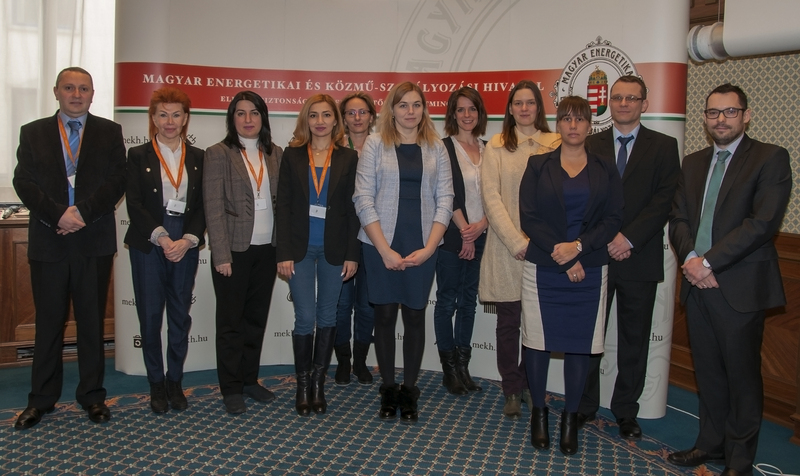 Participation of ERE staff in Energy Community and MEDREG Working Groups. Participation of ERE staff in TAP meetings. “UNIVERSAL SERVICE SUPPLIER” SH.A (FUU) with private bidding, with the object of activity in: electricity supply of end-customers operating in the regulated market as defined by the present law, providing and securing commercial quality service, as well as any other profitable activity of interest to society. “LIQUID MARKET SUPPLIER” SH.A (FTL) with private bidding, with the object of activity in the purchase and management of energy and operation in the free market, etc., as well as any other profitable activity of interest to the company. “OPERATOR OF DISTRIBUTION SYSTEM” JSC, (DSO) with private bidding, with the object of activity of distribution of electricity, construction, operation and maintenance of the electricity distribution network for the provision of electricity to customers, customers and users of the electricity distribution network, installation and electricity measurement services, etc., as well as any other profitable activity of interest to the company. On February 7th, 2018 the Law on “Amendments to the Law on Energy” was approved by the National Assembly of RA (will enter into force on July 6th, 2018), which foresees the gradual transition from fully regulated energy market to liberalized market, by introducing components of competitive market. By Resolution №541N of December 13th 2017 of the PSRC of RA the methodology for tariff calculation for the electrical energy sold to the consumers and for distribution services rendered by “Electrical Networks of Armenia” CJSC was approved, which prescribe cost classification, the principles of consumer groups classification and mechanisms for distribution tariff calculation. As a result of implementation of the new and improved mechanisms set in the methodology approved by the Resolution №541N of December 13th 2017 of the PSRC of RA, the distribution tariffs entered into force on February 11th, 2018.have significantly reduced. The tariffs for electrical energies generated by large companies and for market services providers entered into force on February 1th, 2018. There were no changes made in tariffs for the end-users. The tariffs for drinking water supply and wastewater services provided by “Veolia Djur” CJSC entered into force on January 1st, 2018. Although, the amount of the above mentioned tariff has increased by 11.414 dram/m3, the government provides a subsidy and the consumers pay as for the tariff in force heretofore (180 dram/m3). On December 25-26th, 2018 “TAIEX Workshop on the Liberalization of the Electricity Market and its Regulation” was organized by the European Commission in cooperation with the Public Services Regulatory Commission of RA and the Ministry of Economic Development and Investments of RA. The aim of the workshop was the introduction and development of the well-functioning electricity market model and its regulation. The Ministry of Energy Infrastructure and Natural Resources of RA, Scientific Research Institute of Energy, Market Operator, System Operator and “High Voltage Electric Networks” CJSC. On March 1-2nd, 2018 the ERRA Joint member project “Renewable Energy Support Schemes and Net Metering” implemented under the ERRA’s Annual Work Plan was organized in cooperation with the Hungarian Energy and Public Utility Regulatory Authority (HEA) and National Commission for Energy Control and Prices Lithuania (NCC). Under the ongoing initiative “Energy Community Regulatory School” of the Energy Community, which is directed to improvement of regulatory tools of energy market. PSRC organized the participation of its representatives to the following courses “Price Comparison Tools”, “Day-Ahead Market Coupling in Electricity”, “Contemporary Legal Regulatory Debate”, “Market Surveillance and REMIT”, “Gas Transmission Tariff Systems in Transition from Status quo to Implementation of the Gas Tariff Network Code”, which take place in the first half of 2018. Since 1 January 2018 the household consumers of the biggest distribution network operator Elektrilevi OÜ have to pay a monthly fee for their connection if their total consumption at the specific consumption point was below 250 kwh in 2017. The rationale for the change in the tariff was to ensure that all consumers contribute to the maintenance of the network. This has raised a lot of consumer complaints (to the NRA and Ombudsman as well as coverage in media), mainly from consumers who have a second property where they hardly consume any electricity. Since 6th February 2018 it is possible to apply for a subsidy from the TSO for the production of biomethane. The main purpose is to support the growth of the consumption of biomehtane in the transportation sector in order to meet the national goal of 10% of renewable fuels in transportation sector by 2020. Estonian Competition Authority gave a training to market participants about the calculation of weighted average capital cost. Estonian Competition Authority organised a 2-day training to its employees about the water and sewage purification processes. On 17-18 April 2018 Estonian Competition Authority is organising the Baltic Gas and Electricity Market Forums. In the long term dispute over the water tariffs the National Court ruled in favour of the Estonian Competition Authority. 4 KV voltage – 21.319 tetri/kWh. 4 KV voltage – 21.083 tetri/kWh. Commissioner Pangani elected as a President of the Energy Community Regulatory Board. The Commissioner of Georgian National Energy and Water Supply Regulatory Commission, Mr. Giorgi Pangani, has been elected as the President of the Energy Community Regulatory Board (ECRB) by majority of votes at the Energy Community meeting held in Athens, Greece. The Energy Community Regulatory Board (ECRB) is one of the bodies of the Energy Community that represents a platform for the exchange of knowledge and development of the best practices of energy market regulation. The board promotes harmonization and implementation of the regulatory practices for the Energy Community member countries. On the basis of the Association Agreement between Georgia and the European Union, Georgia has undertaken the obligation to implement Third Energy Package in the energy sector. In order to fulfill abovementioned obligation Georgia signed the Protocol on the Accession of Georgia to the Energy Community in 2016 and since April 21 of 2017 Georgia has been a full-member of the Energy Community. GNERC informed business sector about its recent reform on the “New Connection by One Interaction Service Standard”, which means the fulfillment of the applicant’s request on a new connection by one interactive contact with the DSO or other third parties. Namely, once the applicant submits the application on “the new connection request to the distribution grid”, in a form approved by the GNERC, the DSO is obliged to fulfill this request with a full technological cycle (incl. designing and constructing the distribution grid, purchasing materials, obtaining all necessary permits and supplying the electricity), without applicant’s participation. In electricity sector, the DSO completes the “New Connection by One Interaction Service” by istallation of the electrical switch after consumer’s individual meter node and supplies electricity to that switch, notwithstanding customer’s attendance. Furthermore, the DSO immediately informs the customer by a text message, that electricity has been supplied and the customer’s electrician can manipulate this switch (the customer’s electrician has a right to handle it, to attach the internal wiring cable to this switch and to turn it on, with his/her own responsibility). GNERC agreed 5-year development plans of JSC Telasi and JSC Energo-Pro Georgia. The Commission introduced a new rule in the energy sector. The regulation considers preparation of 5-year Development plans by electricity distribution companies that fosters planning and implementation of long-term projects. On December 8, 2017 the Commission agreed 5-year development plans of JSC Telasi and JSC Energo-Pro Georgia. For the purposes of increasing reliability of electricity supply and quality of electricity, the above-mentioned companies shall carry out significant projects for development of electricity distribution network. The projects includes: rehabilitation of electricity lines and substations, construction of new network, etc. According to the 5-year development plans, the projected costs for implementation of investment projects are respectively 85 mln GEL for JSC Telasi, and 343.5 mln GEL for JSC Energo-Pro Georgia. GNERC published first results of “secret consumer” project. GNERC published initial results of “secret consumer” project. The project was carried out in energy and water supply sectors. The process of customer service was examined in JSC Telasi, LLC KazTransGaz Tbilisi, LLC Georgian Water and Power. In order to eliminate the violations detected as a result of the study, the recommendations and timeframe for their fulfilment were provided to the utilities. The study covered the submission of application for the connection of a new consumer to the network and utility’s response to them. GNERC continues “secret consumer” project that envisages observation on all companies regarding service provided to the citizens. HEA issued a decree on illegal consumption. The decree (that entered into force in February 2018) introduced new rules on the sanctions of illegal consumption, by implementing the principle of progressivity. It also set procedural rules concerning the inspection of the meter and the obligations as regards notifying consumers. The Energy Ambassadors program launched by HEA was conducted between September 2017 and March 2018. During the course of the program, the four ambassadors visited 14 schools in 12 Hungarian cities and held presentations for students on energy savings and energy consciousness. The goal of the program is to develop the energy conscious approach of rising generations. HEA selects the energy ambassadors every year through an application process from university and college students specialized primarily in natural sciences, committed to the issue of energy efficiency. At present, the Parliament of the Kyrgyz Republic is considering a draft Law of the Kyrgyz Republic on introducing amendments to the Law on Renewable Energy Sources (hereinafter referred to as RES). The draft of this Law proposes to expand preferences for RES including tax and customs payments, which will attract investments for the development of “green energy”. The Law of the Kyrgyz Republic on RES is also extended for reconstructed entities, replacing more than fifty percent of the book value of existing facilities and basic generating equipment. Currently, the Law is applied to newly introduced objects only. In addition, it is planned to completely remove RES from the state regulation by abolishing licensing. 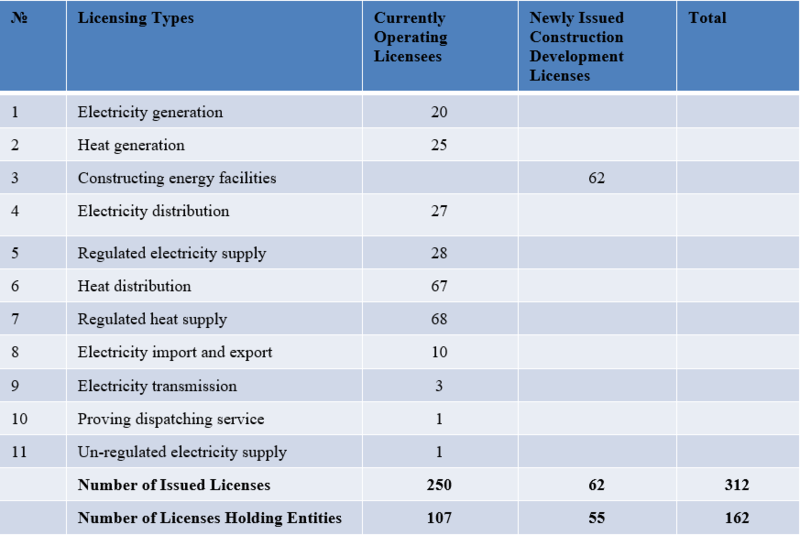 At present, RES subjects with a capacity of over 30 MW are subject to licensing. The process of developing a new tariff policy for electricity and heat for 2018-2023 is almost finalized which will determine the tariffs for the next 6 years. The most important regulatory development was in the natural gas sector, as from the year 2017 the gas market is open to consumers and therefore the concept regarding transmission and storage tariff methodologies and tariffs has been reviewed. In 2018, PUC continue to work on the approval of new transmission and storage tariffs. Also, the mechanisms of the regional natural gas market are under the development (see picture below). During the past 3 months, PUC has organized three major events in Riga. Workshop on gas market was organized with support from NRAs’ experts of Belgium and Luxembourg. Many participants from NRAs and TSOs from the three Baltic states and Finland have attended the Workshop. Participants got an in-depth insight into gas market balancing, balancing tariffs and the functioning of regional BE-LUX gas market. In addition, PUC has presented the functioning of the Baltic electricity market. Another workshop was organized together with the Italian NRA and Italian major distribution system operator (E-distribuzione). This 2nd workshop, also lead by Luca Lo Schiavo (who has received an ERRA Award in 2017), was dedicated to incentive regulation in electricity distribution, particularly concerning renewables and innovation. Topics included smart grids, smart metering, new smart functionalities, the impact of increasing volume of renewable energy on distribution network, the ongoing issues on cybersecurity and other. In February, the Water Industry Commission for Scotland and PUC signed the memorandum on collaboration and exchange of practice in the economic regulation of water supply and waste water management. During the visit in Riga colleagues from Scotland shared their experience in revenue cap regulation of water sector as PUC is interested to learn about the concept of this methodology of tariff regulation compared to currently used methodology of cost plus regulation. According to the European Union directive and the Energy Law, JSC “Latvijas Gāze”, the former natural gas monopoly of Latvia, had to separate functions of natural gas transmission, storage and distribution from function of natural gas supply (trade) by January 1, 2018. The natural gas transmission and storage functions were separated from JSC “Latvijas Gaze” by the establishment of an independent company JSC “Conexus Baltic Grid” in 2016. In August 2017, continuing the unbundling JSC “Latvijas Gāze” shareholders decided to demerge the company by establishing a subsidiary JSC “Gaso” and handing over to it the functions of the natural gas distribution system operator. JSC “Gaso” was established on November 22, 2017 pursuant the Energy Law providing for a spin-off of distribution system operator activities from JSC “Latvijas Gāze” into a separate legal company with an independent legal personality and started operations on December 1, 2017. On December 7, 2017, PUC has issued a license for distribution of natural gas to JSC “Gaso”. The license has been issued for a period of 20 years – until December 6, 2037. Baltic States’ and Finnish NRAs’ representatives signed the guidelines for pricing of the services of natural gas transmission. In implementing the regional action plan, on 27th November, 2017, the representatives of Baltic States’ and Finnish NRAs’ signed the guidelines for pricing of the services of natural gas transmission. 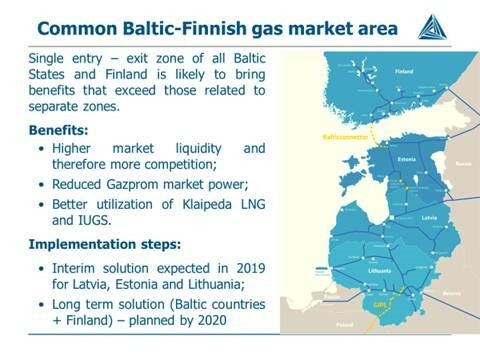 In the short-term period of 2019–2020, the pricing model for entry and exit points would be applicable to the gas market of the Baltic States that includes Estonia, Latvia, and Lithuania. In an effort to create equal competitive conditions to all the suppliers in the region, the same entry tariffs would be applied to every entry point in the region. In addition to that, the gas transmission system operators (TSOs) are obligated to agree on the mechanism for Inter TSOs Compensation within the region. In the long-term period, i.e. from 2020 and beyond, the same entry tariffs for transmission of natural gas would be applicable to entry points in the entire Baltic-Finnish region: they would be calculated by applying the most optimal methodology, chosen from three alternatives (postage stamp; capacity weighted distance; and matrix). Traditional Baltic Gas Market Forum and Baltic Electricity Market Forum events hosted in Vilnius. On 6-7 November, 2017, the traditional Baltic Gas Market Forum and Baltic Electricity Market Forum events were hosted by the NCC in Vilnius. Both events gathered more than one hundred energy market stakeholders from Lithuania, Latvia, Estonia, Poland, Finland and Sweden. 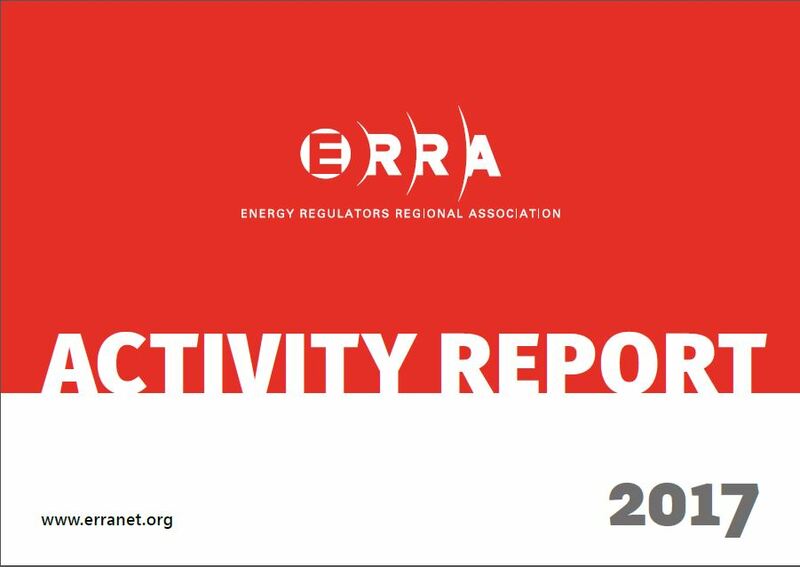 The events were as well attended by the European Commission and Agency for the Cooperation of Energy Regulators (ACER) representatives. The wide and intensive discussions during the events and future challenges all market participants will need to cope with prove that the traditional Baltic Gas Market Forum and Baltic Electricity Market Forum events are the right platform to exchange the views and fix the progress on the energy market developments around the region. Baltic TSOs Launch a Common Baltic Balancing Market Form 2018. Baltic electricity TSOs (Elering AS, AS “Augstsprieguma tīkls” and LITGRID AB), based on previously made studies and continuous work, have agreed to cooperate in coordinated balancing area and launched a common Baltic balancing market starting from the 1st January 2018. The objective of the common Baltic balancing market is to establish the same rules and principles for all balancing related activities while stimulating competition and, at the same time, paving the way towards equal treatment of each market participant regardless of the country it operates or resides in, therefore facilitating the overall cost-efficiency and leading to higher consumer welfare. In order to achieve the level playing field for the participants of the Baltic balancing market, and to fulfil the requirements of the guideline on electricity balancing, the Baltic TSOs have agreed on harmonized Baltic balancing market rules for balance service providers and imbalance settlement for balance responsible parties. The common Baltic electricity balancing market ensures the objective balancing service price and in future would ensure the demand and supply balance at lower costs for Lithuania, Latvia and Estonia and the right signals for the development of infrastructure. On January 1, 2018 Natural Gas Transmission and Distribution Prices and Tariffs for Houshold Customers Came into Force. Since the 1st January of 2018 new Natural gas transmission and distribution service prices adopted by the NCC came into force. Price caps are set for a 5-year period and are revised once per year. Tariffs for Household Customers. Natural gas supply companies set a binomial tariff, which consists of a variable component paid for the quantity of consumed gas, and a fixed component, paid for a fixed tax component per month. Since the 1st January of 2018 the variable tariff component for the I group of household customers decreases by 7,81 percent, for II and III group – do not change, comparing with variable tariff component valid in the 2nd half of year of 2017. Regulatory Training on Regional Gas Market Integration. In January, 2018 the workshop was organised by Latvian NRA PUC dedicated to the experience sharing of Belgium and Luxembourg gas market integration. The workshop was broadly attended by Baltic-Finnish region NRAs and TSOs, including representatives by NCC. The workshop provided a huge added value to the participants taking into account the processes of regional gas market integration in Baltic-Finnish region. 2 days, January 2018. Regulatory Training in MIFID II and Trade in the Energy Sector. Regulatory training in MIFID II and trade in the energy sector was organised in NCC in March 2018. The aim of the training was to improve the qualifications of the NCC staff on the requirements of Directive 2014/65/EU of the European Parliament and of the Council on markets in financial instruments (MIFID II). 2 days, 8 hours, 20 participants, March 2018. ERC Macedonia has approved new tariffs for 2018 for the natural gas transmission system operator and 3 distribution system operators. The TSO tariff for 2018 has decreased and is set at 2,36 eurocents/nm3. After determination of water services tariffs in November 2017, ERC started the process of monitoring the implementation of the tariffs in all areas with more than 10.000 equivalent inhabitants and in bulk water suppliers. ERC has adopted 7 bulk water supply tariffs, 29 tariffs for water supply, 27 tariffs for waste water collection and 13 tariffs for waste water treatment. 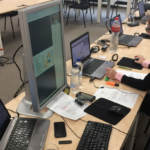 The process of development and implementation of the new ERC Market Monitoring System, which started 2 years ago, was finalized in March 2018. The process included development of new secondary regulation on Energy Market Monitoring issues with specific indicators (quantities, average prices, consumers complaints, quality of supply indicators, electricity generation, grid operators, renewables, capacity allocation, etc. ), rules and reporting obligations for the electricity, natural gas, oil derivatives and district heating licenced companies, as well development of a tailormade software for collecting and analysing market data. The project was implemented with technical assistance by the Faculty of Electrical Engineering and Information Technologies (University of SS Cyril and Methodius) from Skopje, financially supported by the Ministry of Foreign Affairs of the Kingdom of Norway. The new ERC Market Monitoring System is aimed at providing timely and accurate data on various energy market indicators, which will strengthen ERC capacities in performing its regulatory role. ERC Macedonia started implementation of a joint project with NARUC, supported by USAID, for developing Price Comparison Tool (PCT) of the suppliers offers on the electricity retail market, aimed for households and small consumers. The purpose of the project is to provide reliable web-based tool which will enhance competition and functionality of the electricity retail market in Macedonia. Project implementation started in January 2018 and is expected to be finalised in the beginning of 2019. ELEM JSC Skopje, the largest electricity generation company in Macedonia, increased its generation capacity through the purchase of Kogel Stil DOO Skopje Combined Cycle Power Plant with installed capacity of 30 MW. EDS DOO Skopje (largest supplier/trader in the liberalized segment of the electricity market in Macedonia) announced that negotiations with PPC S.A Greece for acquisition of EDS business in Macedonia and the region, have been finalized. Macedonian Commission for Protection of Competition is expected to announce opinion for this acquisition soon. MER JSC Skopje, a stated owned company in charge for development of new gas infrastructure in Macedonia, is working on two projects for gas interconnectors, one with Greece and other with Bulgaria. MER’s partner for the first interconnector is DESFA S.A Greece and this project has a PECI status (Project of Energy Community Interest). Latest developments in this project include finalization of the routing on Macedonian side and start of other preparatory activities for the planned construction of this gas interconnector. For the other gas interconnector between Bulgaria and Macedonia (Petrich-Strumica), MER JSC Skopje recently signed Memorandum of Understanding with Bulgartransgaz EAD. Based on the MoU, initial preparatory activities for this project are expected to start in near future. The Energy Regulatory Commission of Mongolia has extended 16 licenses for 12 entities which are currently operating, and newly issued 100 licenses for 62 entities in 2017. As issuing energy generation licenses for two solar power plants each has 10MW installed capacity, a 50MW wind power plant, 5MW for “Mon Cement Building Materials” Co.,LTD, and additional 48 MW for “Erdenet Factory” Co.,LTD, the total installed capacity in Mongolia reached 1239.5 MW in 2017. The Energy Regulatory Commission of Mongolia organized Eastern, Western and Central Region workshops and conferences with the Ministry of Energy and Licensees. In these conferences, over 600 representatives from 100 especial licenses holding companies participated, and the following agenda was addressed such as the energy development and modern management trends, licensees’ strategic planning for technical, financial and business policy, price and tariff regulatory work in the energy sector, energy conservation and efficiency, consumer’s rights, and inspection issues. The representatives exchanged ideas and shared their best practices. The Energy Regulatory Commission has issued totally 19 licenses for Renewable energy sources in 2017. 262.2 million kW.h electricity was generated from 8 different entities which have totally 145.4 MW installed capacity. 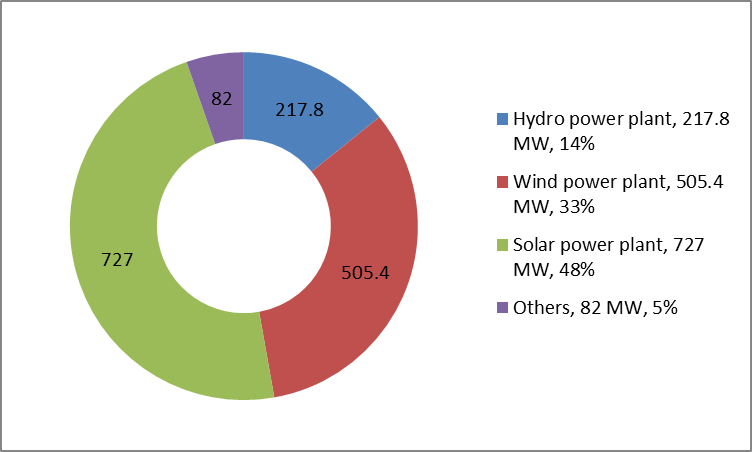 This is 11.8% of the total energy system installed capacity in Mongolia. In the beginning of 2018 capacity market was introduced in Poland. Introduction of capacity mechanisms in Poland results from the necessity to ensure security of supply and proper functioning of national electricity system in long-term perspective. The introduced capacity market is open to domestic and foreign capacity providers; existing and new physical generation units, energy storages, DSR. According to the mechanism, capacity providers may obtain payments for readiness to deliver power to the electricity system and for readiness to deliver certain volume of power during emergency period, i.e. in situation of power shortage (in case of DSRs – for being available to reduce electricity consumption). Capacity will be offered under the auctions. First auctions for delivery obligations in 2021-2023 will be held in December 2018. The funds for capacity remunerations will be collected from final customers, electricity generators and companies involved in electricity distribution (so-called capacity fee). Capacity fee rate will be determined by URE. Capacity fee will be collected staring from October 2020. The capacity mechanism was approved by the European Commission on 7 February 2018. RF Governement Decree No. 895 of July 28, 2017 (stipulates achievement of base price (tarif) levels for for electricity (capacity) in the territories of the Far Eastern Federal District). During the last 3 months of 2018, legislative changes related to electricity and water were not adopted. For the requested period, such events were not conducted. However, over the past year, regular work has been carried out in the field of organizing and conducting training programs on the following topics: antimonopoly regulation, tariff regulation, contract system in public procurement of goods and services, etc. Round tables, seminars and workshops are held on a regular basis. JSC “Kuzbassenergo” and JSC “Siberian Energy Company” (JSC “SIBEKO”) are engaged in the production of electricity on the wholesale electricity and capacity market in the second price zone and the free power transfer zone “Altai”, “Siberia” and “Southern Kuzbass”. As a result of the transaction, JSC “Kuzbassenergo” acquired 77.62% of the voting shares of JSC “SIBEKO”. Following the results of the transaction agreed with the FAS Russia, a group of individuals was created and an order was issued to create a number of behavioral requirements, with the need to notify the FAS Russia of the results of fulfilling these requirements. The validity of the regulation is 3 years, during which companies must comply with these requirements. The Newly Promulgated Electricity Tariff. Saudi Electricity and Cogeneration Regulatory Authority (ECRA) announced that the Council of Ministers approved the changes to electricity tariffs that took effect on January 1st, 2018. Ensure the efficient and safe construction, installation, maintenance and operation of Small-Scale Solar PV Systems in all Premises in KSA. These regulations include the scope & applications, the Eligible Consumers, General Provisions, the Connection Process, Generation cap, Net Metering Schemes and Small Scale Solar PV systems individual projects. Distribution Code Amendments. ECRA approved the Distribution code amendments to enable connection of the renewable energy sources to the Saudi Distribution Network. ECRA convened meetings and workshops that were attended by staff from relevant entities to study and examine the amendments, and review the Methodology of making revisions and related impacts on the networks. Distribution Capability Statement. ECRA developed and issued Distribution Capability Statement to describe the current electricity distribution system and the plans for its development in a transparent way. This description facilitates efficient connection to the system and provides confidence to the Regulator and other stakeholders in the efficient development of the electricity distribution system to the benefit of the national economy. The Distribution Capabilty Statement included the reporting requirments from the licensee and the contects required from ECRA. Publication of the updated edition of the “Provision of Electricity Service Manual”. Implementing the TV, press, and other media campaign to educate consumers and inform them about their rights and responsibilities. The Council of AERS has adopted on 14/12/2017 a Decision on Prices of System and Ancillary Services in the Power System for 2018. This decision sets prices of capacity reserve for system services, i.e. secondary and tertiary control which are necessary for the provision of secure, reliable and stable operations of the power system, i.e. for frequency regulation and exchange capacity, as well as ancillary services for the regulation of voltage and reactive power and the price of black start. The Council of AERS has adopted on 15/12/2017 a decision on the approval of the Transmission System Development Development Plan for 2017-2026 and Transmission System Investment Plan for 2017-2019 which were adopted by the Joint Stock Company “Elektromreža Srbije” (EMS JSC) as the transmission system operator. goals and activities include enabling secure electricity supply, electricity market development both on national and regional level, increase in transmission capacities and the development of corridors of regional and Pan-European importance through the Republic of Serbia. GASTRANS LLC, Novi Sad has submitted to AERS on 02/01/2018 an application for the exemption from the third party access rules on the entire natural gas infrastructure facility – new gas pipeline which will go through the Republic of Serbia and connect Bulgarian and Hungarian national transmission system. On the session held of 09/03/ 2018, the Council of AERS has adopted a Decision on Method and Deadlines for Market Test on the Interest in the Use of Future Infrastructure Facility of the Company GASTRANS. On 05/03/2018 GASTRANS has published an expression of interest notice for the submission of non-binding bids for capacity reservation of the new gas pipeline which will go through the Republic of Serbia and connect Bulgarian and Hungarian national transmission system. The National Assembly of the Republic of Serbia elected a new president and members of the Energy Agency (AERS) Council because the old management mandate has expired. The new President of the Council is Dejan Popović and the members are Aca Marković, Dejana Stefanović-Kostić, Negica Rajakov and Goran Petković, who is re-elected. Popović, a mining engineer, was the State Secretary of the Ministry of Energy, Development and Environmental Protection and the Director of state-owned Resavica coal mines, where he spent most of his working career out of which more than 10 years within PE Elektroprivreda Srbije. Elektromreža Srbije (EMS AD), the European Power Exchange EPEX SPOT, the Hungarian Power Exchange HUPX, the Hungarian Independent Transmission Operator Company MAVIR and the South East European Power Exchange SEEPEX have signed a Memorandum of Understanding (MoU) which foresees the creation of a strong cross-regional power exchange in the Central and South Eastern European region, EMS announced on 07/02/2018. The project remains open for additional partners who would like to join this initiative to drive forward the integration of spot power markets in Central and South Eastern Europe. Serbia and Bulgaria signed on 24/02/2018 a MoU on co-operation between the ministries of the two countries in the development of the Danube port infrastructure necessary for the storage and transport of liquefied natural gas. The signing of the document seeks to establish institutional co-operation in order to determine the profitability of the implementation of future infrastructure projects for the construction of port facilities needed to convey LNG on the Danube River in the context of the announced construction of a gas interconnection between Bulgaria and Serbia. Amendment: Gas Network Code (March, 2018). Amendments aim integration of the Continuous Trade Platform that the Turkish Organised Natural Gas Market will operate on and to harmonise the code with the By-Law on Organised Natural Gas Wholesale Market were finalized and published by EMRA. New Regulation: Communique on Regulation of Last Resort Supply Tariff (Jan 2018). The Communiqué covers the measures for determining the actual costs for calculating the last resort supply tariff and the calculation of the elements constituting the price for eligible consumers that cannot/may not procure electricity through bilateral agreements. The latter was introduced to encourage large consumers to switch free market. New Regulation: By-law on Electricity Market Capacity Mechanism (Jan 2018). The Regulation defines rules on the capacity mechanism to be operated by the transmission company, TEIAS. The Regulation aims establishing sufficient installed capacity, including the reserve capacity and/or safeguarding the reliable installed capacity. in the electricity market. Tariffs: Electricity End-user Prices (Jan 2018). Regulated end-user tariffs increased %8.8 from the beginning of 2018 by the Board decision no: 7617. New Regulation: Principles and Procedures for Rooftop Solar Power Projects (Jan 2018). The Regulation covers rules regarding instalment of PV projects up to 10 kW capacity. Tariffs: Liberalization of LNG terminals including FSRUs (Jan 2018). In line with the NGML article dictating that the storage tariffs including LNG facilities should be freely set between the parties provided that there’s sufficient capacity, the Board decides liberalization of the LNG storage. tariffs. New Regulation: The access code for the second underground natural gas facility of Turkey, Tuz Golu Underground Storage (Dec 2017). The Code approved by EMRA defines access regime of the Tuz Golu Underground Gas Storage facility. New Eligibility Limit (Dec 2017). As of 2018, all consumers with consumption greater than 2000 kWh per year or directly connected to the transmission system have the right to choose their supplier and the theoretical market opening ratio is 92.6%. Wind Energy Capacity Auction (Dec 2017). By transmission company; TEIAS. The Accounting Principles Course designed for evaluating and auditing regulated companies’ accounting plans, between 13th of March and 6th of April for was arranged for all Tariffs Department’s staff. 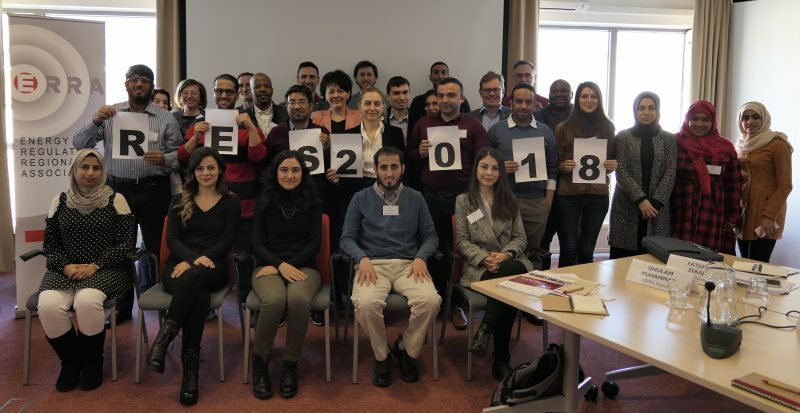 A workshop on the Turkish Organised Natural Gas Market was organised in January 2018 with the participation of the network operator, BOTAS Wholesale Division and the organised market operator, EPİAŞ, in order to determine the operational details that will allow better compatibility between the Network Code and the Organised Market Usage Principles. First stage of the training programme that aims to allow market players learn the basics of the Continuous Trade Platform, which is currently in the testing phase, have started in March 2018. The trainings will be continued during the pilot operations on the Platform that will start on 1st April 2018. Enerjisa, in which Sabanci Holding and German E.ON each have a 50% share, began trading its shares on the Istanbul Stock Exchange on February 8. The company’s IPO will be for 20% of shares that Sabanci and E.ON divided equally. 85% of the company’s shares sold to foreign investors while the remaining 15% sold to domestic investors. The IPO’s transaction is calculated to be around 1.3 billion Turkish Liras. 15 January 2018. FERK had amended its General Conditions for Electricity Supply adding new definition of organization for group of generation facilities, amending definition of special zone, giving more rights to generators, harmonising frequency standards with Network Code provisions, amending provisions related to power permit and provisions related to special zone. 27 February 2018. Decision on approval of new prices for universal service for users of JP Elektroprivreda BIH d.d. Sarajevo. There are no changes for households; changes are in 0.4 kV customers. For Tariff Groups 2 and 5 (with TOD meters) the average price is reduced for 0.71%, and for same group but with single tariff meter this reduce is 0.56%. The application of these prices starts on 1 April 2018. FERK Staff participates in many working groups amongst which are USAID EIA Working Groups and Working Group for EU Questionnaire. The first wind power plant in Bosnia and Herzegovina, WPP Mesihovina (municipality of Tomislavgrad, company JP Elektroprivreda HZHB d.d. Mostar) has been commissioned on ceremony held on 14 March 2018. The National Association of Regulatory Utility Commissioners (NARUC) is the national association representing the State Public Service Commissioners who regulate essential utility services, including energy, telecommunications, power, water, and transportation. NARUC members, which include all 50 States, the District of Columbia, Puerto Rico, and the Virgin Islands, are responsible for assuring reliable utility service at fair, just, and reasonable rates. NARUC’s mission is to serve in the public interest by improving the quality and effectiveness of public utility regulation. Internationally, NARUC Programs seeks to empower the global community of regulators to drive meaningful change in their energy sectors. Working in partnership with U.S. and international officials, NARUC’s projects support real improvements in the quality and effectiveness of regulation in foreign countries through dialogue and collaboration. Nuclear Waste Storage: At its national meeting in Washington, DC, in February, NARUC members called on U.S. legislators and the U.S. federal government to make concrete progress toward a permanent solution to nuclear waste disposal in the U.S. In a resolution adopted by the membership, NARUC agreed that the best, long-term solution to isolating nuclear waste from the environment is permanent disposal in a geologic repository. In doing so, NARUC noted that the federal government was required by 1998 to remove and dispose of radioactive waste currently stored at operating and shutdown reactor sites and federal facilities but has failed to do so. Nuclear energy accounts for 20% of the U.S. generation fleet, according to the U.S. Energy Association, and NARUC members are the agencies responsible for the regulation of electric utilities that generate or purchase electric power from nuclear generating plants. NARUC members also called for the Nuclear Waste Fund – which is intended to fund a permanent storage solution – to be managed responsibly, and expressed support for the consolidated interim storage of spent nuclear fuel. NARUC members further expressed support for a new federal organization to manage nuclear waste, with a new approach to siting and better access to financing. Tax Reform: After the U.S. Congress and president enacted a tax overhaul in late 2017, NARUC members have been working to assess the short- and long-term implications of the law as it pertains to the regulation of utilities. At its national meeting in Washington, DC, in February, NARUC members discussed the implications of the tax reform package on regulated utilities, including for water utilities, which are often capitalized with substantial debt. 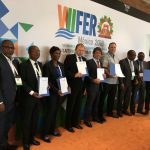 Practical Guide to the Regulatory Treatment of Mini-grids: Developed through the support of the U.S. Agency for International Development, NARUC has developed the Practical Guide to the Regulatory Treatment of Mini-grids to support regulators in emerging economies. The guide provides regulators with clear guidance and tools for developing an enabling regulatory framework for mini-grid development. This pivotal regulatory tool can help expand electricity access for potentially hundreds of millions of people in rural communities around the globe. The guide aims to support policymakers and regulators in meeting rural electrification goals and expanding access to clean, sustainable, affordable, and reliable electricity. The guide focuses on three pillars of regulation that are key when developing a regulatory regime for mini-grids: (1) policy and planning frameworks, (2) retail service regulation, and (3) technical standards. 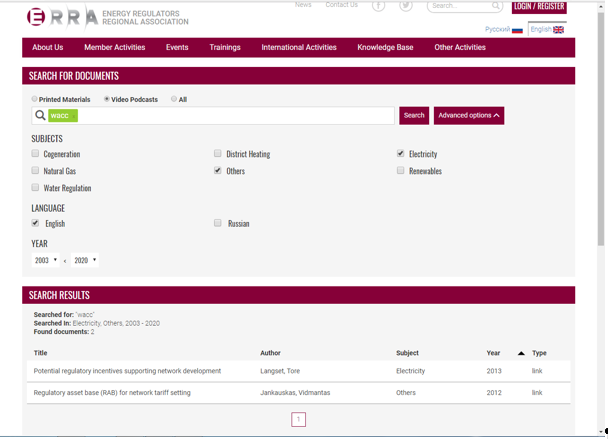 The guide is a flexible, modular tool that users can consult in its entirety or review a specific section to work through one regulatory issue. The guide is available at http://naruc.org/minigridguide. Women in Energy Regulation Internship Program: Developed through the support of USAID and Power Africa, NARUC in recent months launched the program to help foster interest and advance career opportunities for young women in energy regulation. The project places well qualified young women at regulatory agencies in USAID-assisted countries for six-month paid internships, enabling them to gain experience and knowledge on a range of regulatory issues. The program is currently being piloted with regulatory commissions in Kenya and Tanzania, with plans to potentially expand the program in the near future. NARUC is proud to share the stories of Monicah Kitili and Margaret Jeruiyot Ayabei, who both are in the process of completing internships at the Kenya Energy Regulatory Commission. LNG Study: in response to the United States’ changing role regarding liquefied natural gas, NARUC will produce a new report focused on LNG. The study comes at a critical time, given the changing role of the U.S. in the international gas market, shifting from imported to exported. In recent years, new gas production and liquefaction technologies have allowed new approaches on how LNG is used. The report is expected to be released in November 2018. Reliability in Moldova: Through USAID support, NARUC experts from Maine, Ohio, Pennsylvania, and Kentucky late last year provided technical reviews and recommendations to Moldova’s National Energy Regulation Agency (ANRE) as it established a Beta Method to identify major outage events as part of their calculation of SAIDI. The Beta Method will help ANRE in its assessment of distribution reliability in Moldova. Work around the World: Through the support of the U.S. Agency for International Development, the U.S. Department of State, and its partners around the world, NARUC remains committed to improving the quality and effectiveness of energy regulation around the world. In FY18, NARUC expects the number of countries it serve to reach 35, which marks a new high in the program’s history. This growth includes an emerging project in Central America, where NARUC will work with regulators to strengthen electricity sector oversight and facilitate progress toward regional market integration, as well as in Bangladesh, where NARUC will support the Bangladesh Utility Regulatory Authority to enhance its abilities in the areas of cost-reflective tariffs and regulatory accounting.